Where Real Music LIVEs! : JORDAN TAKES TO THE AIRWAVES! JORDAN TAKES TO THE AIRWAVES! Jordan Grattan today completed his period of work experience with The Flash through Havant & Southdowns College. 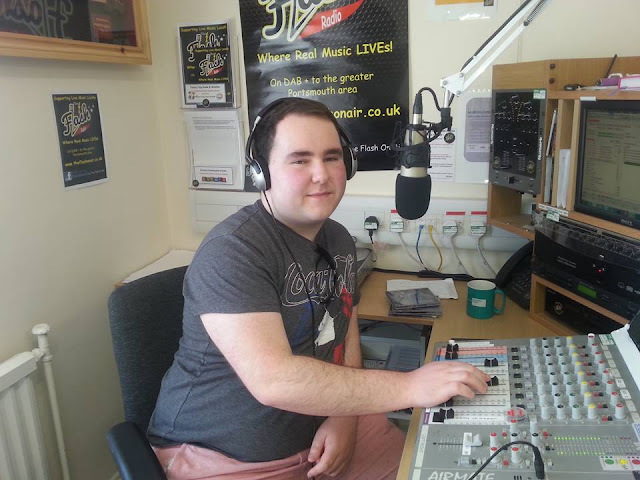 During his short time with us he has planned and produced his first radio show. It runs for 35 minutes and will be aired tomorrow (Friday) evening at 6.00pm, and with another chance to hear it on Sunday at 12.00noon. Myself and Peter Crew were really impressed with his work, and he is very keen to present more shows for us in the future and may even help by compiling and presenting live traffic bulletins every now and again during our 'Drive Time' shows.